Truck working through his strength portion of Thrusters. Jen showing great form on her toes to bar. 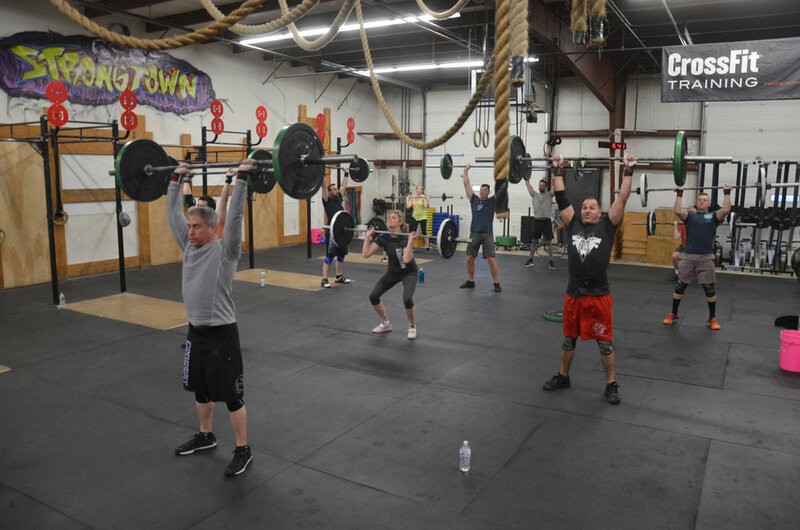 The 5pm class at the start of "Death by Thruster and Toes to bar"